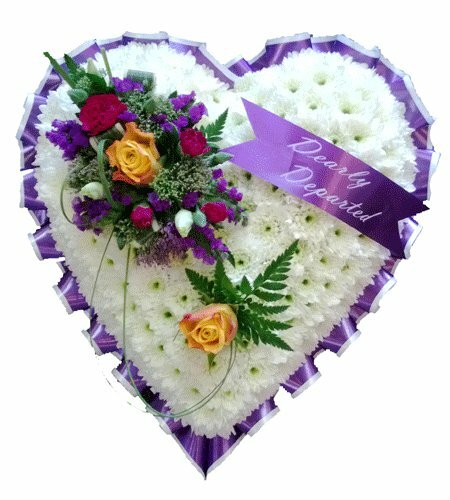 Choose from our carefully selected range of classically beautiful funeral wreaths, funeral lettering , tear drop sprays, casket sprays and specialist tributes and just let us know where you would like us to deliver them too. 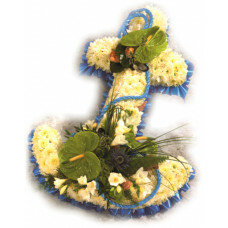 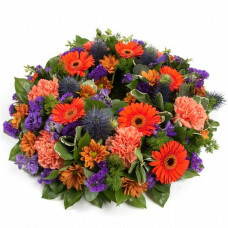 Our UK funeral flowers range includes posies, crosses, funeral lettering ,wreaths, sheaf's and hearts – and we can of course customise your order to make a bespoke arrangement so it’s just what you want. 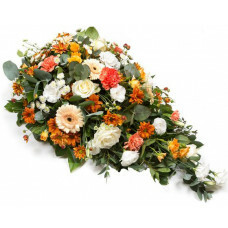 Pink Rose and Lily Teardrop Spray - Aralia leaves and French ruscus are nestled amo..
A Vibrant cerise pink and yellow funeral arrangement to place on top of the coffin containing p..
Blue & Lemon WreathOpen round wreath with natural foliage edge including Iris, Roses, Chrysanthe..
Orange & Purple WreathThis traditional wreath combines thistles, statice, deep purple lisianthus..
A classic selection of flowers including roses, carnations and spray chrysanthemums in Yellow a..
Anchor Funeral Tribute - Massed in White double chrysanthemums, edged in blue and white pleated..
Angel - A moving tribute suitable for any age, this white angel is created with an abundance o..
A massed chrysanthemum Aunty base edged in Foliage with sprays to match with Large headed Orange Ros..
A massed chrysanthemum Aunty base edged in Pink and white pleated ribbon with sprays to match with L..
A classic single ended mixed tear drop spray in peaches, rusts, whites and creams by Alisons designe..
Blue Summer Mixed Casket Spray - A contemporary summer funeral arrangement for the&n.. 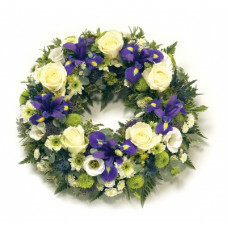 The breast cancer care emblem created in soft pink flowers..